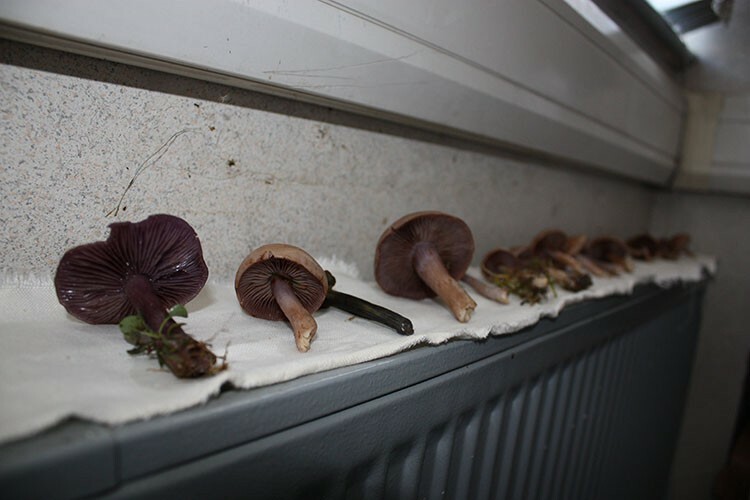 Preparation for the spore prints, using wild mushrooms. 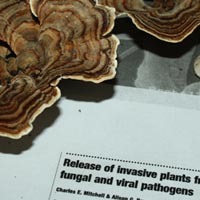 Another example of collecting spores from wild mushrooms. 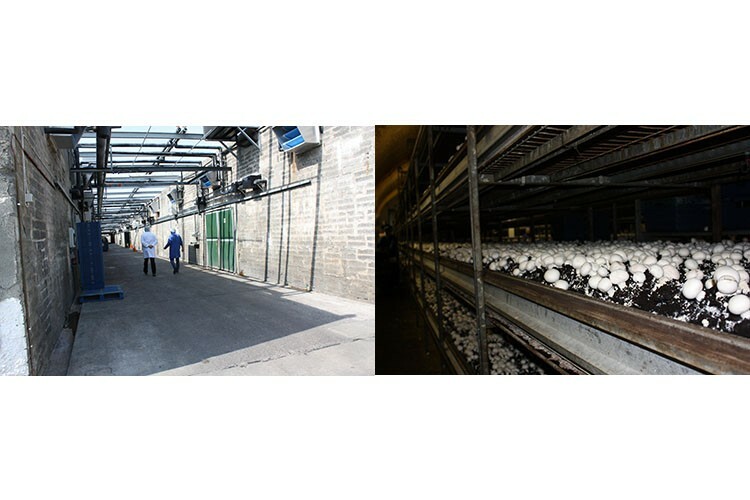 Visit to the mushroom factory. 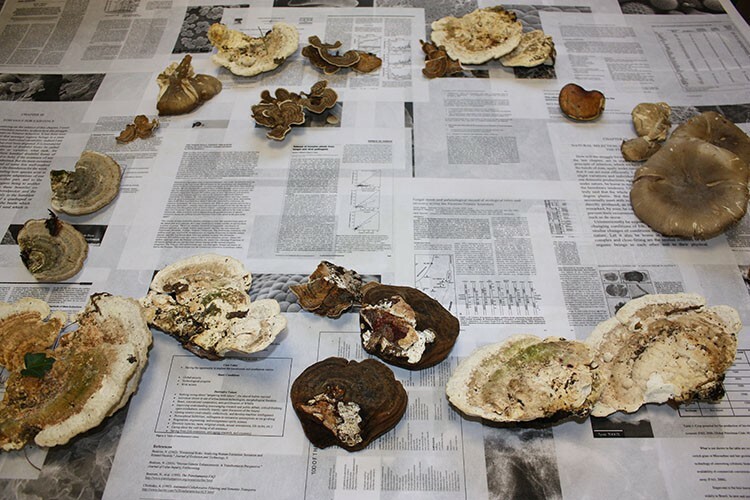 This would lead to a large living mushroom installation shown in 'Biosphere,' Meadhbh's first solo show. 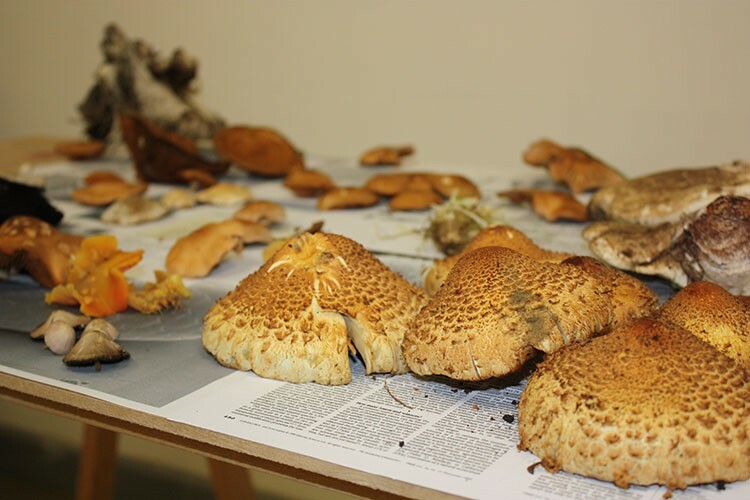 Wild mushroom collected, from which spore prints were taken. 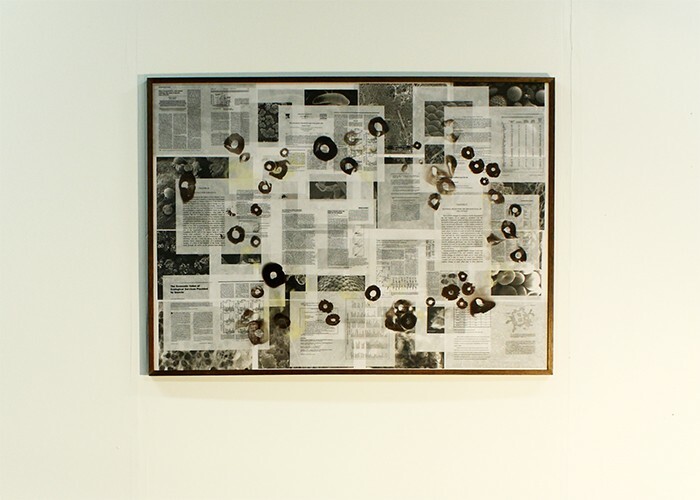 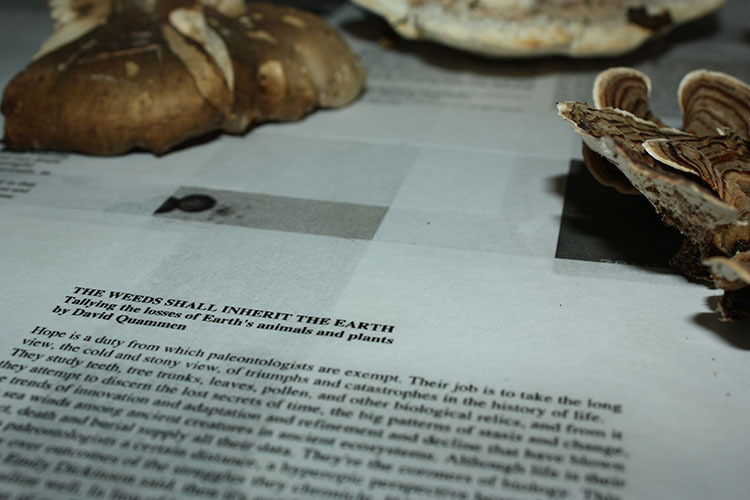 The spore prints were taken on a collage of scientific papers. 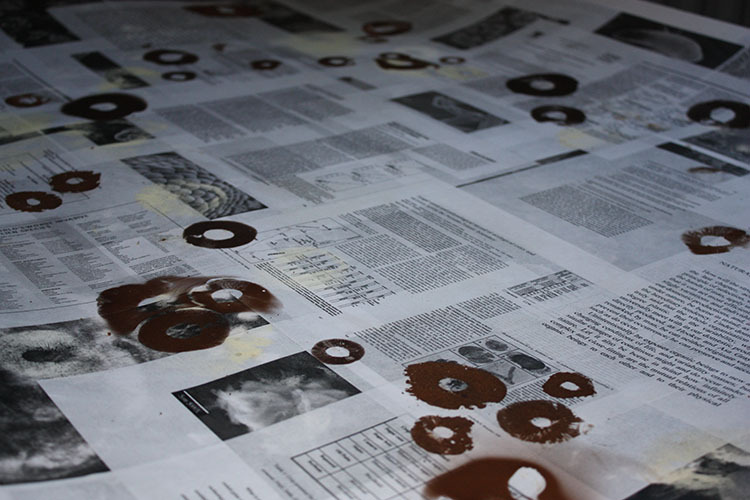 The work is currently framed, acting as a vitrine for the spores. 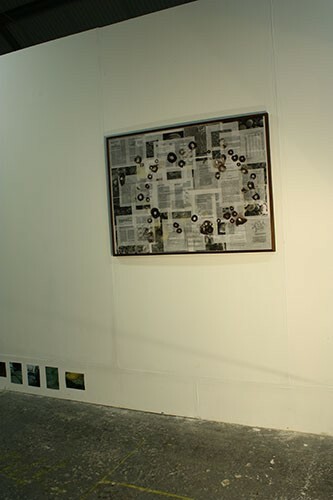 The frame contains and suspends the life process. 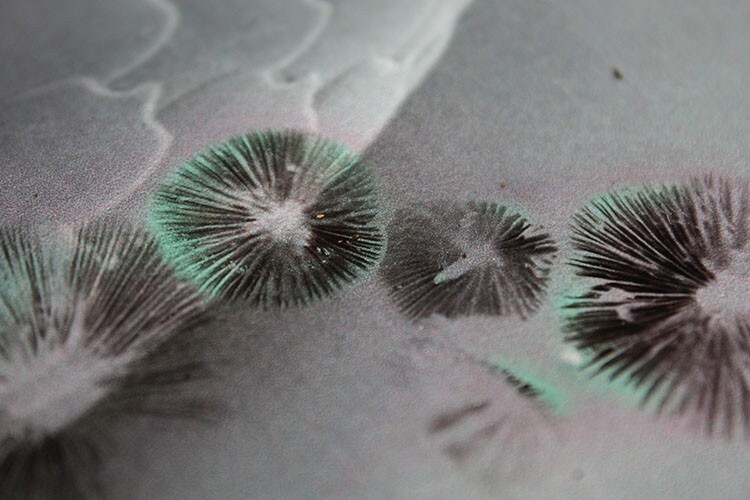 Someday, when the frame is destroyed, or if conditions are otherwise appropriate, some of the dormant spores will become active and form new life. 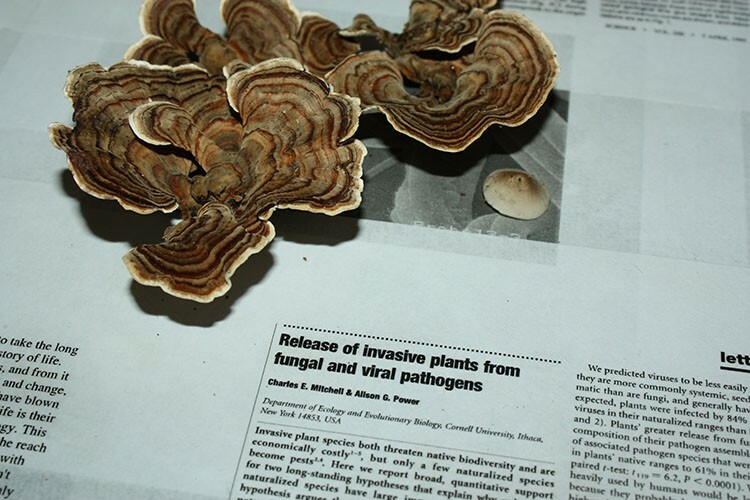 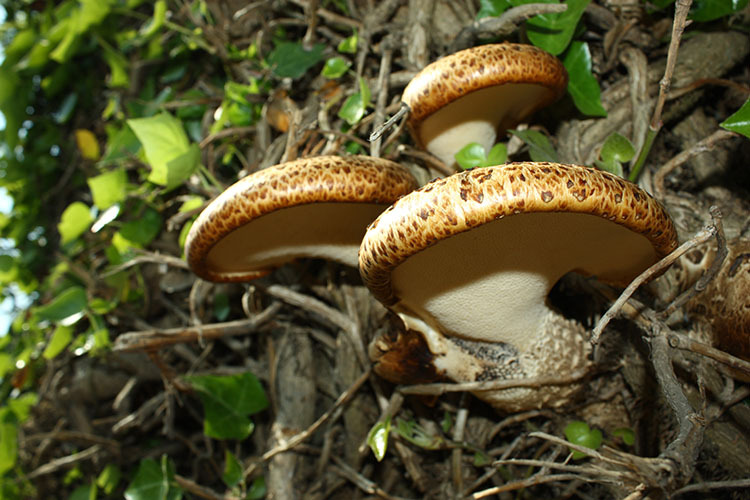 For related work, see Fungus Supremus 2011, of Biosphere.